Fiorello H. LaGuardia stood at only 5’2”, but still casts a shadow over New York today. His nonstop boosterism for his hometown and his unyielding tenacity helped the city weather the Great Depression better than most. LaGuardia will be long remembered as one of the greatest, if not the most colorful mayor the city has seen. 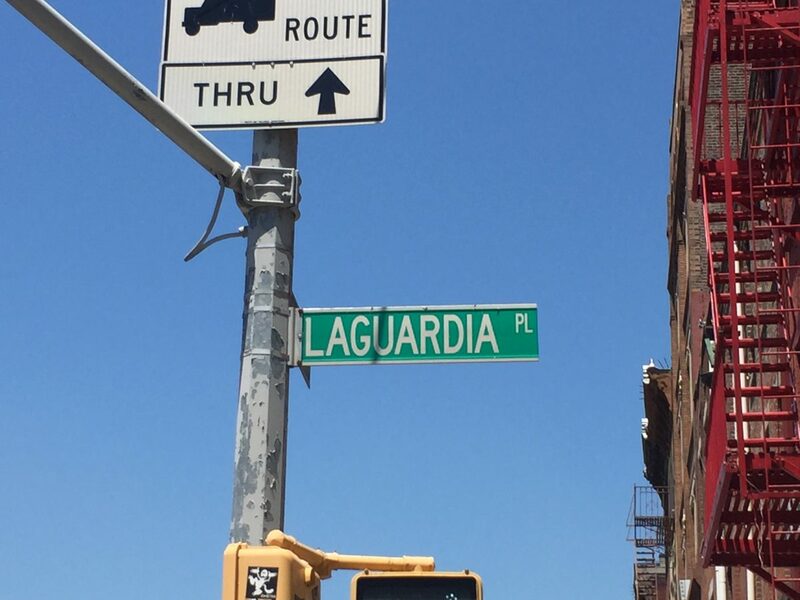 LaGuardia was born in Greenwich Village in 1882. With his father being in the army, he moved around when he was young—first to Arizona and then to Florida before settling in Trieste, Italy, for a time. He worked for the U.S. State Department before returning to New York to earn a law degree, supporting himself by working at the U.S. immigration station at Ellis Island. Entering politics, LaGuardia was an anomaly: a half-Jewish Italian Episcopal Republican. He once joked that he was a balanced ticket all by himself. LaGuardia served in Congress in two non-consecutive stints—broken up when he volunteered for service in World War I in the Army Air Corps. In Congress, LaGuardia amassed a liberal record, speaking out against prohibition and allied with progressives of both parties. After being defeated for reelection to Congress in 1932, LaGuardia ran for mayor of New York in 1933 (city elections are held in off years). He was able to win the election as a Republican in one of the most heavily Democratic cities in the country due to ongoing corruption scandals within the Tammany Hall machine and the fact that there was more than one Democrat running in the election. The time to celebrate the victory was short lived as New York was suffering through the Great Depression. LaGuardia worked tirelessly to help direct federal relief funds to the city. In no small part due to fellow New Yorker Franklin Delano Roosevelt being president, New York was lavished with funds during the Depression, which allowed new infrastructure to be built and existing civic amenities repaired. LaGuardia also revolutionized the way mayors did business by appealing directly to the federal government for aid (previously, state governments had to make the appeal), traveling by airplane, and communicating with constituents on radio (LaGuardia’s Sunday radio show on WNYC drew over 2 million listeners at its height). He was also known for riding fire engines to fires in progress, leading marching bands in parades, and declaring a war on organized crime in the city. LaGuardia had a great national profile as well. In the lead-up to World War II, he was named by President Roosevelt as the chief civil defense coordinator for the country. While he tried to do this responsibility along with being the mayor, it was impossible to do both jobs and he resigned his federal post once the U.S. entered the war. LaGuardia was an outspoken opponent of Nazi Germany and their anti-semitic policies. LaGuardia’s sister would be imprisoned by the Nazis in a concentration camp during the war, adding to his reasons for opposing the Nazi regime. After declining to run for a 4th term for mayor in 1945, LaGuardia stepped down. He briefly served as a director of the United Nations Relief and Rehabilitation Administration for a short time. He also had a syndicated newspaper column, working hard until he died of pancreatic cancer in 1947. His presence is still felt in the city—from the airport named after him to the parks, roadways, and numerous other pieces of infrastructure created during his mayoralty. The “Little Flower” as he was called, exemplified the colorful city he so loved. 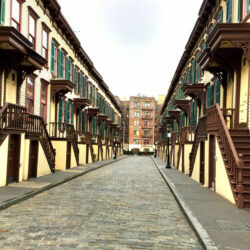 Facts about LaGuardia and places associated with his life will be shown on Sights by Sam tours.